Toeroek provided RCRA technical, regulatory, and compliance assistance for corrective actions at the Army’s Ft. Wingate facility. 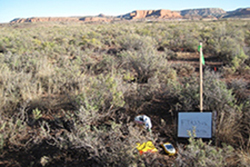 We prepared and implemented a comprehensive RFI work plan, including detailed field sampling plan, quality assurance project plan (QAPP), and health and safety plan for 294 discrete and multi-incremental soil samples. A field team ranging up to six samplers was mobilized for five weeks to collect samples from excavated trenches as well as from surface soil and subsurface soils. 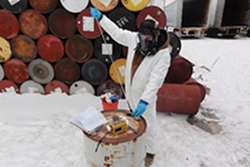 A total of 19 sample delivery group packages reporting Level IV data were validated, including analyses of semivolatile organic compounds (SVOCs), explosives, perchlorate, and metals. The RFI report summarizing the findings was finalized with limited comments after review by USACE and other stakeholders including the tribe and NMED. 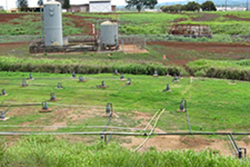 (Source: EPA 2008, Preliminary Closeout Report, Del Monte Corporation (Oahu Plantation) Superfund Site, Kunia, Honolulu County, Hawaii.). 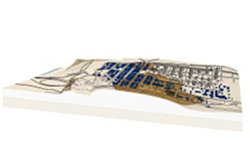 Toeroek researched remediation technologies historically used to treat dissolved-phase EDB in groundwater. 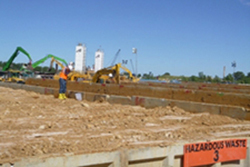 We identified both representative EDB remediation technologies and sites with information concerning implementation and operation. 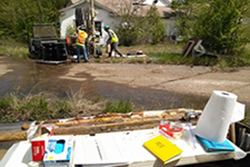 Toeroek provided EPA with a comprehensive and detailed evaluation of EDB remediation technologies and alternatives to objectively identify reasonable expectations for success, challenges, and costs. Toeroek supports EPA Region 6, in addition to projects in Region 5, under our REPA contracts to provide defensible environmental data for potential enforcement actions, including preparation of work plans, including uniform federal policy quality assurance project plans (UFP-QAPP), collection of samples from environmental media, including groundwater, surface and subsurface soils, sediment and surface water, and soil-gas, management and disposal of investigation-derived waste (IDW), analytical testing of samples, data validation and management, and data analysis and findings included in the final data report. 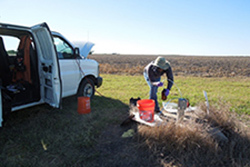 We also install and develop groundwater monitoring wells, as well as re-develop older monitoring wells, and have experienced staff to log boreholes and ensure that all samples are collected appropriately and documentation and chain-of-custody is maintained for legally defensible data. Toeroek uses agile project management practices triad systematic project planning principles working interactively with our client to optimize projects in concert with use of work plan addenda referencing established work plan documents, such as an approved QAPP specifically designed for each EPA Region under REPA. Toeroek specializes in finding solutions to client problems, such as finding an expert geophysicist with experience in a region but without any actual or even perceived conflict of interest. Although Toeroek has capabilities to perform a geophysical borehole log review, we used our network of consultants to lead us to a subject matter expert with qualifications exceeding expectations, experience in the region to understand the unique geology, but with no conflict of interest for this project. 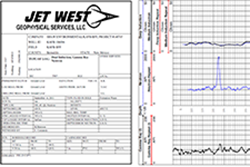 A total of 91 borehole logs were reviewed, including resistivity, gamma, and neutron logs, as well as data collection procedures, calibration procedures, and calibration data. 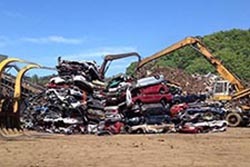 The end-of-life vehicle recycler/shredder industries in Washington generate a significant amount of waste that goes to the metals recycling industry and to municipal landfills as alternative daily cover. 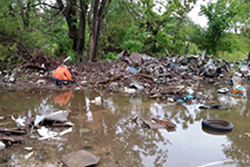 This project focused on independently collecting and analyzing ASR samples from four shredders in Washington for waste characterization against RCRA and Washington Dangerous Waste limits to evaluate potential environmental impacts. ASR waste characterization is complicated by the heterogeneity of the waste stream, changes in metal extraction processes, and changes in auto manufacturing materials. We reviewed the shredders’ current practices and protocols for ASR processing, waste generation, sampling, and waste characterization and proposed recommendations for sampling protocol changes to improve consistency and representativeness of ASR samples collected and analyzed. Field oversight is also provided for compliance of work implemented in accordance with the final versions of the documents reviewed. Toeroek supports Region 8 in developing a conceptual site model (CSM) of an oil refinery specifically evaluating the available data collected over many years to refine the understanding of the hydrogeologic conditions, the extent and migration of contamination, and the effectiveness of the interim measures used to mitigate its impact to the nearby town and creek. 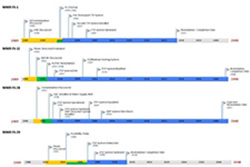 The CSM report details the historical data, reviews the existing analysis, evaluates potential data gaps, and makes recommendations in addition to developing a graphical 3-D CSM representation of the site.